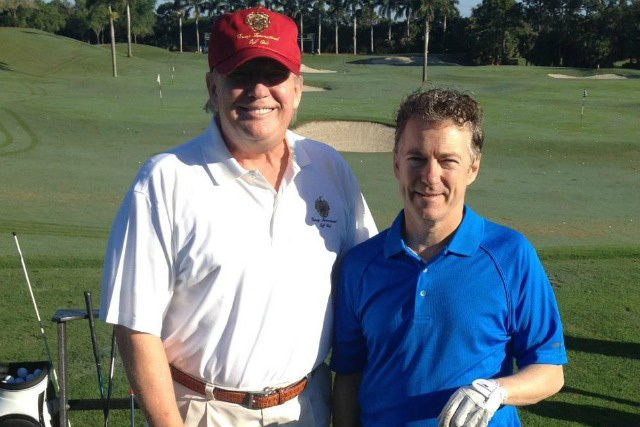 Sen. Rand Paul announced on Wednesday that President-elect Trump has stated his support for the “Audit the Fed” bill that Paul just reintroduced to Congress, according to The Hill. Auditing the Fed is something that started with Rand Paul’s father, Ron Paul, who has been pushing for years to have the Federal Reserve central bank audited. That measure may soon become a reality if the new Congress votes in favor of the legislation. Rep. Thomas Massie (R-Ky.) and Sen. Rand Paul (R-Ky.) have re-introduced the controversial “Audit the Fed” bill, after a similar effort failed with the last Congress in January 2016. “The U.S. House has responded to the American people by passing Audit the Fed multiple times, and President-elect Trump has stated his support for an audit. Let’s send him the bill this Congress,” Rand Paul said. Key points this time around include the fact that both the house and senate are controlled by Republicans who have long been critical of the Fed’s policies. Trump himself also has said before on Twitter that he would audit the Fed. Under the bill, the Fed’s monetary policy would be subject to outside board review by the Government Accountability Office. However, if the U.S. central bank is ever fully audited, it is assumed that massive fraud would be exposed. Bernanke’s former advisor infamously said that “People Would Be Stunned To Know The Extent To Which The Fed Is Privately Owned” in April 2016. Former presidential candidate Bernie Sanders has also expressed his concern for missing money in the Federal Reserve. He confronted Bernanke in 2009, and asked, “WHERE IS THE MONEY?” for the TARP bailout, which consisted of $2.2 trillion that the Fed lent out to anonymous banks. There is also the case in which $9 trillion went missing from the Federal Reserve in 2010. That’s not to mention the “billions” of dollars that went missing out of the money the Feds sent to Iraq during the Iraq War. “I applaud my son Senator Rand Paul and my friend Representative Thomas Massie for their leadership on the important issue of auditing the Federal Reserve. Audit the Fed is the type of change the American people demanded when they went to the polls last November.